When first reading the novel ‘Me Before You’ by Jojo Moyes almost a year ago, I refused to put the book down until I reached to the end, where I profusely bawled my eyes out. After reading the novel, I was an emotional wreck. I had experienced a myriad of emotions and when hearing there was going to be a movie adaptation, I was excited and held high expectations for the movie to live up to the novel. Prior to the movie starting, I was anticipating eyes gripped to the screen, hearts pulsing and tears streaming down. However, this was not the case. In fact, I was left with a feeling of slight disappointment after watching the movie. 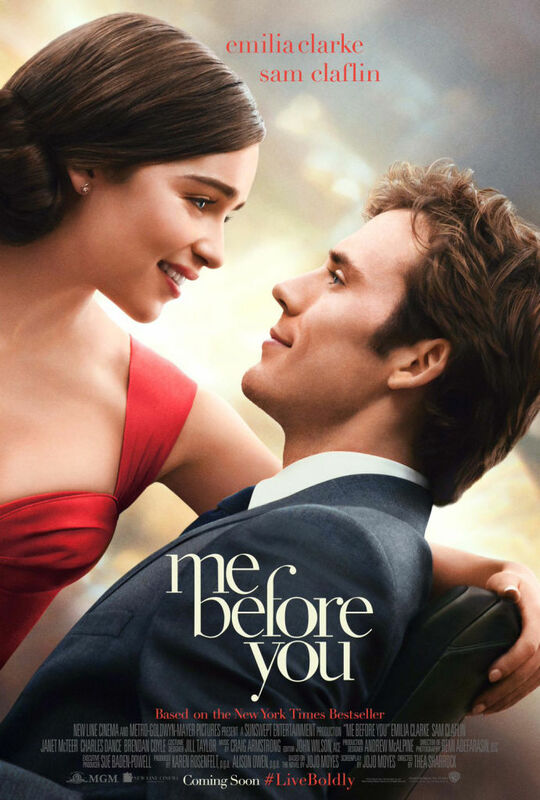 Me Before You is set in the English countryside and introduces Louisa Clark (Emilia Clarke) as a bubbly, uninhibited 26 year old who is on the hunt for a job to help take care of her family. 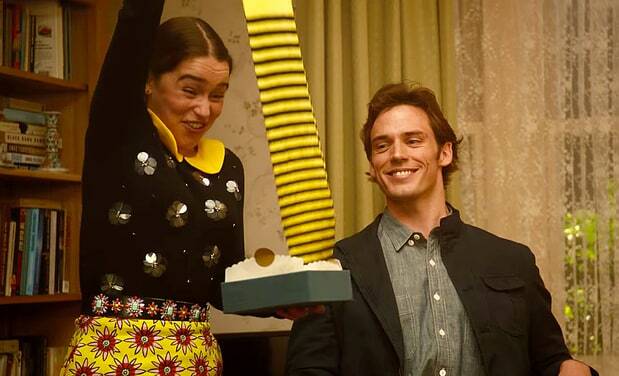 She gets a job at a castle to be caretaker of Will Traynor (Sam Claflin), a now-cynical disabled man who is bound to a wheelchair after a motorbike accident. Her life is taken into a spin as the character’s relationship progresses, and they slowly fall in love. It sounds like your typical Fault in Our Stars-esque type of movie, filled with an abundance of giggles and tears. Clarke manages to perfectly pull off the role of quirky Louisa Clarke, and coupled by her infectious laughter and eccentric taste in fashion, it is hard for the audience not to like her. Additionally, Claflin manages to win the audience over-and many ladies-with his portrayal (and charmingly good looks, may I add) of Will Traynor. The characters undeniably share a palpable chemistry on screen, and it is evident throughout the movie. On the surface, Me Before You may just seem like another romantic sad movie, similar to many Nicholas Sparks movies. However, the underlying message it conveys is one of deeper sadness. 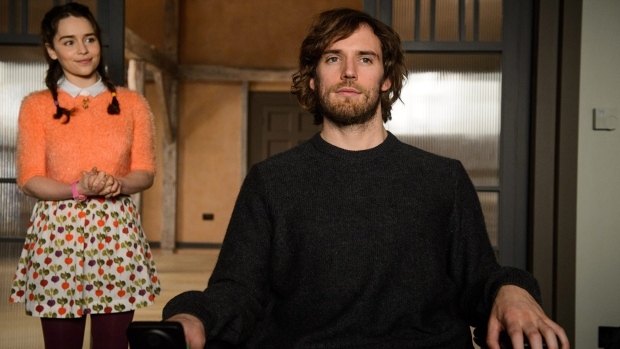 Will Traynor, who is a quadriplegic, is portrayed in a bleak light as he struggles to find the will to live, and the movie essentially alludes to the intense struggles that people with disabilities have to experience on a daily basis. The movie illustrates that people with disabilities will be better dead, Traynor commits assisted suicide at the end. This movie is unique from any other movie that has tackled characters with chronic illnesses in the sense that Will Traynor wanted to die, in comparison to other sad movies where usually the characters don’t have a choice. It explores the themes of love and death, debating which is more important. Traynor sees death as the light to the end of his tunnel, and ultimately chooses death over his love for Louisa Clark. However, the movie shed people with disabilities in a very negative light, and although it was part of the original story plot by Jojo Moyes, it made you view Will Traynor as not an equal, but someone you should pity, which made me dislike the movie a little. Despite some criticism with the movie being relatively emotionless compared to the book, I enjoyed watching the movie as whole. This movie left me wanting to see “what next?”, and with Jojo Moyes’s recent release of the sequel book to Me Before You, I expect there will be another movie to follow. For all you romantic movie lovers, this movie is a definite recommend to watch this summer. This was an invited movie screening.